System flap valves for efficient control of exhaust gas channels. Bypass flap valves open or close an exhaust gas channel. They are used if there are at least two separate possibilities of flow (exhaust gas channels). 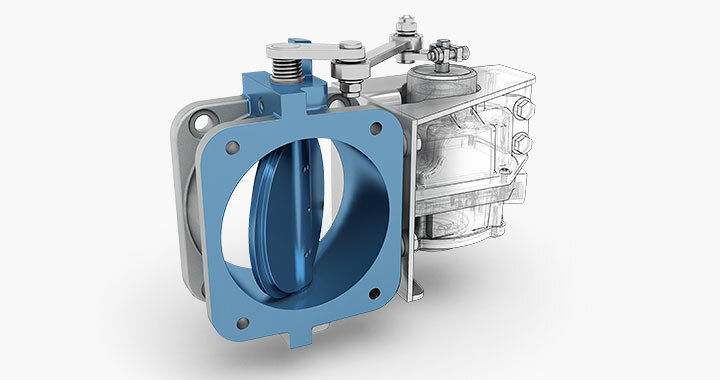 Using the bypass flap valves from Klubert + Schmidt it is possible to regulate the exhaust gas with effective opening and closing of individual exhaust gas channels. Application as turbocharger waste gate or bypass for bonnets or heat exchangers. Simple regulation (connecting and disconnecting) exhaust gas duct components.